Musbury is a peaceful village south of Axminster near the river Axe. 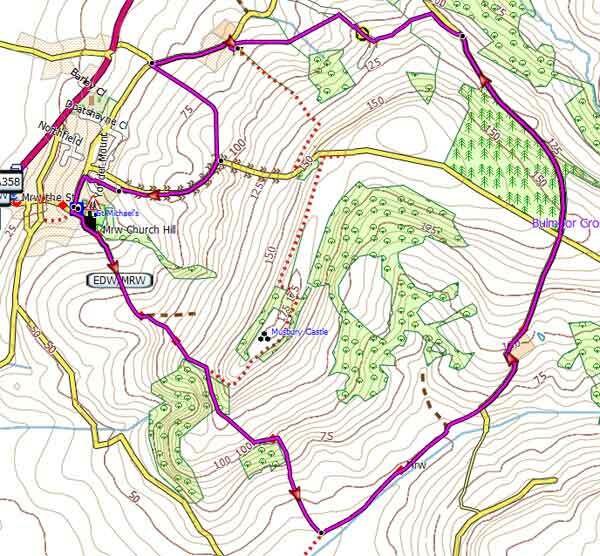 This delightful but quite strenuous walk (4.1 miles) follows part of the East Devon Way ;it includes several steep hills and descents. From the Church Car Park the route follows the East Devon Way & climbs steadily towards Musbury castle,an Iron Age Hill fort. At the top you are rewarded by spectacular views of East Devon and the Axe valley. At the end of the walk ,after joining Mountainhill Lane,you pass Brimcloseon your left - a Grade II listed cottage,where the author Day Lewis,known for 'The Beast must die' wrote many of his detective novels. Explore the many walking opportunities from Axminster beyond its famous carpet industry. Axmouth is a very picturesque village at the end of the Roman Fosse Way offering the walker 2 pubs and magnificent views of the Axe estuary. 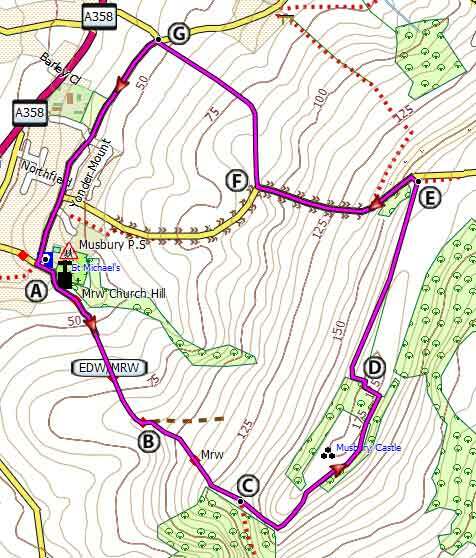 Monmouth Rebellion Route meet ,is an ideal centre for exploring the beautiful Coly valley. This very pleasant megalithic hill-fort walk was suggested by one of our contributors. 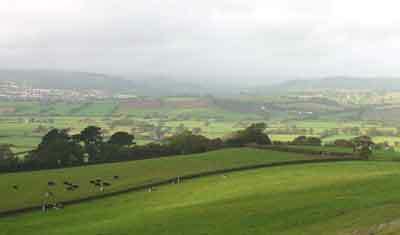 George Pulman wrote:“The panoramic view of the Valley of the Axe is one of the best throughout its extent,and the eye ranges far beyond that lovely tract – over hill and dale,with water,timber and all other accessories for a perfect English landscape”. Click below for detailed written instructions. There is several steep climbs.